On 20 February 1931 an attempt was made to assassinate King Zog (1895-1961) while he was attending the opera during a longer stay in Vienna. The would-be assassins, Aziz Çami and Ndok Gjeloshi were subsequently tried in a Viennese court and sentenced to three and seven years respectively, a comparatively light sentence. The newspapers reported widely on the sensational event. The following articles are taken from the Viennese tabloid “Die Stunde”. The attempt to assassinate King Zog was decided upon two days ago in a Viennese coffeehouse. The assassins were one-time friends of the king. It has been a long time since Vienna has been shaken by such a bloody deed as the attempt yesterday to assassinate Achmed Zogu, the King of Albania. The event took place in the Operngasse in the heart of town just before the end of a performance at the opera, i.e. at a time when many people were out and about, when the surrounding restaurants and coffeehouses were full of customers. The assassination and how it was carried out read like a chapter from an action-packed novel from that part of Europe where nationalist passions rage more easily than they do in the rest of Europe. The last such attack on a political figure, similar in its evolution and preparation, was the murder of Carniciu in a loge at the Burg Theatre. The female assassin in that event chose an evening theatre performance attended by the victim, whom she killed right in the theatre with three shots from her revolver. It is no wonder that this assassination attempt at the opera in the very centre of town gave rise to wild speculations. Some said that the Albanian king was dead; others claimed that a bomb had been thrown and many people had been injured. 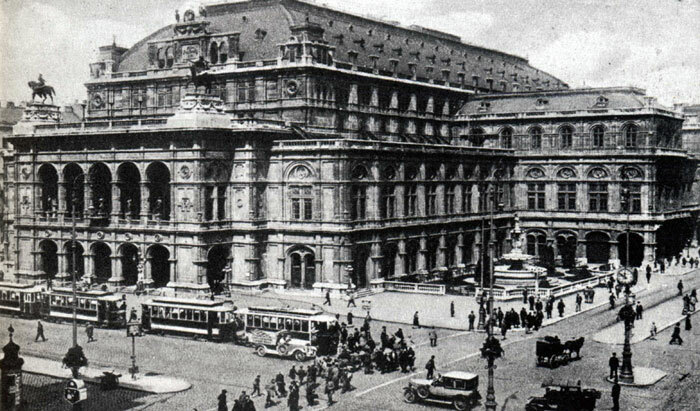 The attack took place at the exit of the opera house in the Operngasse near the Gutmann music shop. The latter is situated in an arcade that leads to the foyer of the opera. This exit is used by loge ticket-holders and the members of the orchestra. 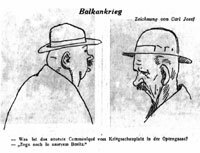 The retired air force captain, Franz Weintritt, the taxi driver Vorsits and the street vendor Adolf Pressl report on how they caught the criminals. The pursuit of the assassins of King Zog played out like a scene from a cops-and-robbers movie. A gunfight ensued between the assassins, the men of the king’s entourage and those assisting the police. The prompt intervention of the men helping the police, in particular two taxi drivers who happened to be present at the time and a newsvendor, brought about the arrest of the fleeing assassins near the crime scene. Retired air force captain Franz Weintritt who was only a few steps away from King Zog’s automobile and was thus witness to the deed, told us the following: “I drove my taxi to the opera last night near the Operngasse. I got there a quarter of an hour before the end of the performance so that I could pick up my father-in-law, Secretary General Fischer, when the opera ended. There were three vehicles at the entrance in front of the arcade between the two stage-entrance doors. They were a large Mercedes A49008 near the doorman’s loge in the direction of the Operngasse, an 80-Groschen taxi A8189 beside it, and farther to the left, there was a second taxi A2275. I wanted to park my vehicle between the two taxis but was ordered by the police to drive on. I protested that the other two taxi drivers had been allowed to park there, but he would not change his mind. When I asked why the others had been given special treatment, the police officer replied that he could not give me any further information. An elegantly dressed gentleman soon appeared at the stage-entrance doorway and called to his driver. 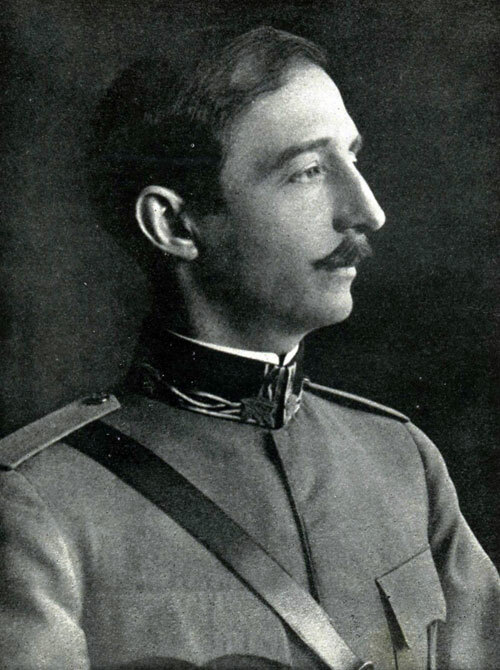 Two other gentlemen followed, one of whom, as I later learned, was King Zog and the other his steward Libohova [Eqrem Bey Libohova] with adjutant Major Topolay [Llesh Topallaj]. Before the steward could get into the vehicle, two men rushed forth from the arcade towards the Mercedes and swiftly fired nine shots at the king and his entourage. I ran up and pursued the fleeing assassin in the direction of Revolutionsplatz. When I noticed that he had a revolver in his right hand, I drew my revolver and shot at the fleeing murderer two times. The taxi driver Matthias Vorsits stated as follows: “I was in my taxi, No. 83, last night at the taxi stand in Maysedergasse. I hear shots coming from the direction of the opera and ran down the Operngasse. Near the second stage-entrance door I saw a man running, with a revolver in his hand. I ran after him. Further shots were fired during the pursuit. I tackled the assassin and managed to detain him with the help of a guard.” The detained culprit was identified as the Albanian officer, Aziz Cami, and was escorted to the police station. This is the second time that a Viennese theatre has been turned into a court of justice, or to put it more bluntly, a court of revolutionary justice. The first time, shots were fired at Carniciu during a performance of Peer Gynt. This time, two Albanians fired shots following Bajazzo. On neither occasion were the authorities able to prevent the attacks with all their unfortunate consequences, but it would be wrong to make serious allegations against them. Perhaps, if they had been somewhat more vigilant, the life of King Zog’s adjutant might have been spared, but the misfortune that struck him and his employer could not really have been prevented by the best police force. One wonders what the criminal police force could have achieved for the King of Albania. A decent Austrian citizen might have had to sacrifice his life for the security of King Zog. Why should such a normal citizen become the victim of a revolutionary outrage simply because a prominent foreigner is the target of a revolutionary movement? Kings travel with their countrymen. If the king is a peace-loving individual, peaceful countrymen will follow him wherever he goes. The kings of Denmark and Sweden can stay in Vienna for years, and no one would think of harming them. But wherever King Zog travels, he is followed by the bloody shadows of his country. Vienna is only responsible for deeds committed by its native inhabitants, and the Viennese would never think of attacking King Zog or his entourage. Vienna has no influence over how the Albania opposition deals with their king. A simple citizen of Albania has the same right to breathe the air of Vienna as the king. After all, we cannot evacuate the whole city whenever some dictator shows particular confidence in our schools of medicine. Our police can only expel foreigners if they interfere in Austrian politics or if there is some doubt that they will turn to violence. The Viennese police cannot wage a preventative war against the Albanian opposition. Visits by absolute monarchs have caused problems for our authorities even in peacetime. What enormous security measures were needed for the visit to Vienna of the Emperor of Russia! However, the Tsar left the city two or three days later and the apprehensions of the Viennese police were put aside. King Zog, for his part, arrived for a longer stay and he cannot expect poor Austria to spend hundreds of thousands of schillings to secure his stay here. If every foreigner required such expenditures, our national budget would falter. As a democratic country concerned about its international reputation, Vienna automatically does what it can for foreign monarchs, but we are not able to provide complete protection against Albanian blood-feuding. Like Macbeth, every dictator must expect the ghost of Banquo at his table, even if the table has been set in a Viennese hotel. The attack is regrettable but is not the responsibility of Vienna. The square in front of the opera was transformed by the Albanians into an extraterritorial island. The police will now certainly check up on political refugees. Many of them are no doubt undesirables, like migratory birds soiling the nests of others. If democratic regulations so permit, their residence here should be curtailed. 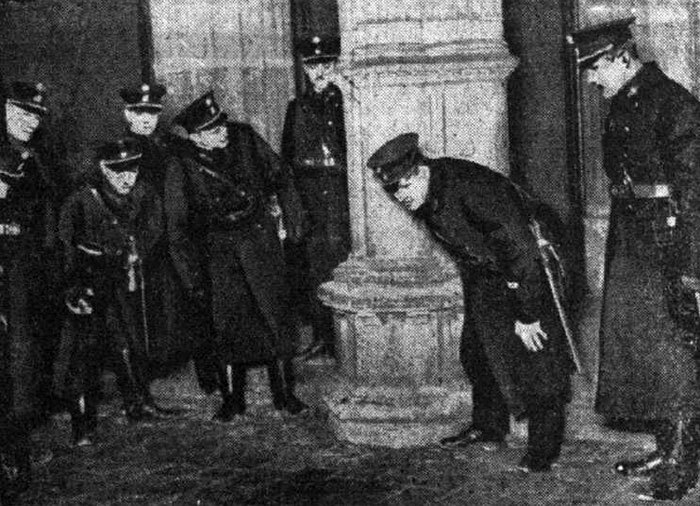 The Viennese police can do no more than this for King Zog. A monarch has only one form of support and protection, as Eberhard the Bearded once said, and that is “to rest his head on the lap of every one of his subjects, without having fear for his life.” King Zog does not enjoy such support because of his authoritarian ways, and we can offer him no such protection. Bismarck once said that the Balkans were not worth the life of a single Pomeranian grenadier. Austria has no desire to endanger the lives of its criminal police officers for modern Albania. The first of the assassins is Ndok Gjeloshi, allegedly a former Albanian army officer, born in Skutari [Shkodra] in 1893 and having served there. He is a Roman Catholic, married and has been residing in Vienna with his wife Margarita Gjeloshi for the last two years. The second assassin is the former captain Aziz Cani, born in 1893 in Vilat [Filat], district of Argyokastro [Gjirokastra], now in Greece, having served in Delvino [Delvina]. He is a Muslim and a bachelor. He lives at the address Hegergasse 9, in the 3rd district of Vienna. Both declared during initial interrogation at the police station that they intended to murder King Achmed Zogu because they regarded him as a traitor to the Albanian nation. They believed he had brought about the ruin of their country. Gjeloshi stated that he had only been near the opera by pure accident last night and had suddenly caught a glimpse of the automobile that the king was using in Vienna. He thus concluded that the king was visiting the opera. He further alleged that he stood at the tram stop at the crossroads and waited for the king. After the performance, when the king left the opera house, he rushed towards him and fired the shots. He endeavoured to take responsibility by claiming that he had carried out the attack without the collusion of anyone else. Gjeloshi insisted that he acted out of a momentary impulse and had not plotted with Aziz Cani. After lengthy interrogation, Aziz Cani for his part admitted that the decision to murder King Achmed Zogu had been taken two days ago in the afternoon. He had met Gjeloshi and spoken with him about the affair. Last night, the two met by coincidence, saw the king’s vehicle and, taking advantage of the opportunity that had arisen, decided to carry out the attack. Since Aziz Cani was not carrying a weapon, he went back to his home in Hegergasse at the suggestion of Gjeloshi and swiftly returned with his revolver. It was with this weapon that the attack was carried out. Aziz Cani was found in possession of an 8 millimetre revolver, said to be of Russian origin. He used up the whole magazine. It was discovered that Aziz Cani had fired seven shots. Gjeloshi had a ten-shot pistol, from which only two cartridges were found missing. Aziz Cani belonged to the party of the former Prime Minister Fan Noli and, in his words, was being financially supported by party members in his country. Ndok Gjeloshi is a member of the Albanian émigré group Baskimi Kombatare [Bashkimi Kombëtar] and denied that he was being supported by his countrymen at home with funds given to him by fellow party member Suma Angjelin [Angjelin Suma], also residing in Vienna. The police are investigating whether a third assassin was directly involved in the attempt to kill the king. It was rumoured that a third man had fired shots at the king’s car. Evidence from witnesses about this third person is contradictory. Since shots were also fired from the vehicle, it is possible that the eye witnesses confused Major Libohova with an assassin. The inspection of King Zog’s vehicle that is to take place this afternoon will determine whether shots were fired by more than two assassins. Shots were allegedly heard in the distance, from the direction of the Mozart monument. The wounded Major Libohova, who has a leg injury, is being treated in Room 32 of the Löw Sanatorium. The bandaging was renewed this morning. The major is feeling better and should recover in about three weeks. Professor Dr Steindl, who is treating Major Libohova, was amazed that the major withstood the first twenty minutes of an extremely painful leg wound without medical assistance. Giving proof of great sang-froid, the major described what he had seen to a police commission sent to interview him. He declared that he had just stepped onto the footboard when he was hit in the leg. It was later discovered that another bullet passed through his hat and would have pierced his skull, had it been one centimetre lower. Realising what was happening, Major Libohova seized his revolver and fired several shots, though without aiming properly. We were able to gather some previously unknown details about the personality of the assassins. Both assassins belong to a nationalist group. Achmed Zogu himself had links with the group in earlier years. Ten years ago, Captain Aziz Cami, one of the assassins, was a friend of Achmed Zogu. Political differences arose between Aziz Cami and King Zog in later years. Captain Aziz Cami was a major foe of the king and was obliged to leave Albania. According to our information, tables had been reserved two days ago for King Zog and his entourage at the Westminster Bar for last night. The Albanian king intended to dine at the bar with his companions. Shortly after the attack, the manager of the bar was informed by the hotel of what had taken place and told that the party would not be coming. 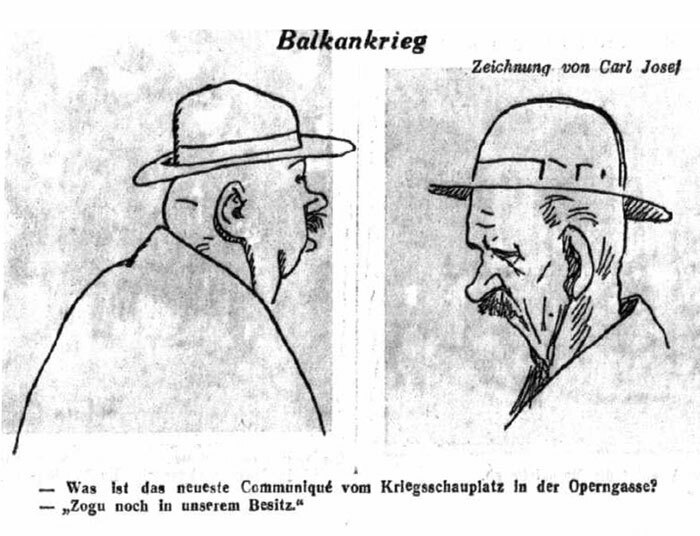 Last night and this morning, the criminal police of the Vienna Police Department made a thorough check of all the members of the Albanian colony in Vienna. All the Albanians, even those not under suspicion, were interrogated. These measures are intended to uncover any possible correspondence in the plot against King Zog. Both of the assassins under arrest denied they had any other accomplices and no further arrests had been made by the early hours of the afternoon. The love life of King Achmed Zogu. The two Baronesses De Janko at Hotel Regina. Why it was so difficult to guard the king. Although it is generally difficult to hinder assassinations or assassination attempts, in the case of King Zog the authorities did their very best to prevent such bloody incidents during his visit to Vienna for health reasons. It has now become known that the king was making the work of the Vienna police much more difficult by his merry and uninhibited ways. Observers of his stay in Vienna have noted that he had already, by pure coincidence, managed to avoid one well-planned attempt to kill him. No doubt the same persons and circles who have now been unmasked, were involved in that attempted crime. The earlier assassination was to take place on the square of the Votivkirche, right in front of Hotel Regina. Why was this venue with an abandoned snow-covered park and at quite a distance from Hotel Imperial chosen? The answer to this question lingers on the bridge of emotions that unites politics and love. Up until January 14th, King Zog lived a very retired life. He rarely left Hotel Imperial, and when he did, he took great caution. On January 14th his lifestyle suddenly changed – a fatal attraction in Hotel Regina, as we have learned. On 14 January, two ladies took up residence there. They registered as Baroness Franziska and Baroness Marie De Janko, both from Vienna, but coming from Tirana. There was a substantial age difference between the two ladies. One was about twenty-five and the other about forty, but they were easy to recognise as sisters. It was no secret to the security officials any longer. The younger of the two ladies, Baroness Franziska De Janko, was the girlfriend of the king, and the older sister was apparently her chaperon. It was originally rumoured that the two ladies were related to Baron De Janko, Austro-Hungarian representative on the Ottoman debt committee and consul-general in Smyrna. The baron, who lives in Vienna, and is currently ill at the Löw Sanatorium did not reply to any questions in this connection. However, his wife Alexandra stated that he and she were the last descendents of that family. Since there is apparently no family connection, it would seem proper to assume that the two ladies were using the title Baroness De Janko as a pseudonym. the war front in the Operngasse? Zog is still in our possession. Investigating journalists were surprised to discover that the two ladies were actually called Janko, and had adorned themselves with the title baroness, like an expensive lace veil. They were actually born in an old Viennese house at Gersthoferstrasse 140 as the daughters of a humble gardener. The couple had five daughters, of whom only three survived. The third daughter is called Katharina and is the wife of the locomotive fireman Karl Stoll. This fellow, who lives in subsidized housing and is therefore probably a Social Democrat, could thus be considered the morganatic brother-in-law of the Albanian king. Franziska Janko is a woman not only of remarkable beauty but also of great artistic talent. Her elder sister sacrificed all of her money to enable Franziska to train as an artiste. She is said to have had a number of good engagements, some of which in Italian cities. She met Achmed Zogu Bey several years ago, before he took power, and fell in love with him. From that time on, they were inseparably devoted to one another. Franziska and her sister were constantly with him. No official duties, no difficulties or impediments came in the way of the love of the Albanian king. It is well-known how strong Italian influence is in Albania, but even this was not great enough to separate Achmed Zogu from the object of his affection. For years now, Italian diplomatic circles have been wishing that Zog would change his ways and enter into a marriage with someone of his status, but this political request was rebuffed by the king. He has defended his right to love against all interference. 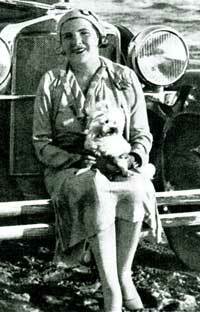 the girlfriend of King Zog. King Achmed Zogu fulfilled the every wish of his beloved. In a Viennese fur shop, she bought an ermine and a mink coat. The bills for her photography are said to have amounted to no less that 7,000 schillings. The king attaches particular importance to seeing that the two ladies, whose companionship has become essential to him, make a proper impression in public. They are almost always with him. He goes out with them and, when he attends the theatre, the loge next to his is always occupied by two beautiful Viennese ladies. On the evening of the assassination attempt, the tables at the Westminster Bar were reserved for him, the two ladies and the rest of his entourage. The two ladies had just left their vehicle and were checking their fur coats at the cloakroom of the bar when the shots were fired. They waited for about half an hour for the king and when he did not arrive on time, as was his wont, they returned to their hotel where they had been contacted by telephone from Hotel Imperial. No doubt, the king wanted to give them a first-hand account of the failed attack against him. It is true that the king was in Vienna for health reasons. He extended his stay simply to please his girlfriend who loved Vienna, the place of her birth, more than anything else. 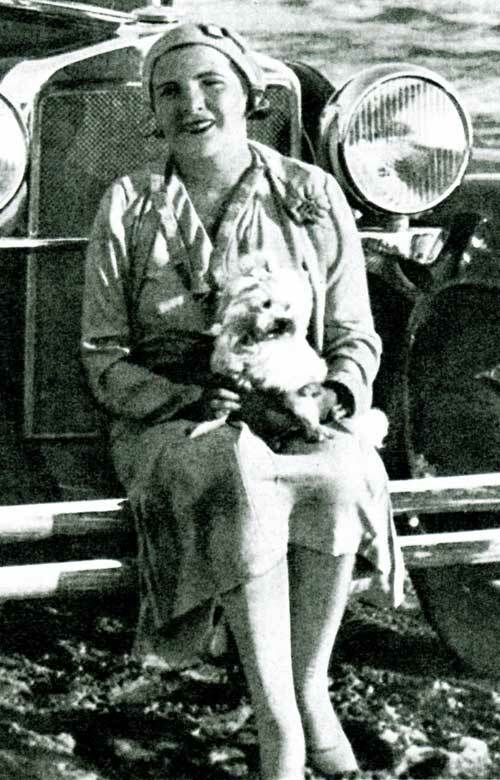 While her sister was living at the family home, which was until 1928, she would stay with her despite the attention paid by the neighbourhood to her upper class appearance, lavish gestures and the large number of suitcases that accompanied her. When her sister moved to subsidized accommodation, the two ladies took to staying at a hotel. They did so from June 10th to July 1st and from August 2nd to August 24th of last year. Of their stay in Vienna this time, the third sister apparently knew nothing. King Achmed Zogu’s love life, that has created such a bond with Vienna and that he cherishes more than he does the democratic development of his country, has made him a popular figure. Yet one can understand the difficulties faced by those protecting him. He strives, of course, to maintain a low profile and not to be accompanied by a bevy of security officers every time he goes to see the two ladies to whom he is so attached. He has certainly become aware of the great risks involved. It has just become known that the two would-be assassins of the Albanian king, Ghjelosi and Cami, were recently in Budapest where they were staying under pseudonyms at a hotel with the well-known Albanian émigré leader Hassan Beg Pristina [Hasan Bey Prishtina]. It is rumoured that final preparations for the assassination in Vienna were made here.